Part 41 Dinosaurs, the Truth when did the extinction occur? Loved this episode as I am very much a proponent of the humans living with dinosaurs theory. Pretty mind-blowing stuff. What's interesting to me is that a massive impact event somewhere around Montana is sometimes cited as being the cause for the extinction of the dinosaurs. An impact in that exact same area, only about 12,000 years ago, is now being shown in scientific work by lots of different researchers in different fields, and summarized by Graham Hancock, to have caused catastrophic global flooding and ending the last glaciation. Two catastrophic impacts in the same area, once millions of years ago and then again only about 12,000 years ago? Maybe a coincidence, maybe not. That could mean many different things, including that something else killed the dinosaurs, or that the same event effectively both killed the dinosaurs (and woolly mammoths, saber-toothed tigers, etc.) and destroyed Atlantis at the same time, as wild as that sounds. I'm not saying that's what I believe happened, but at this point it becomes difficult to rule anything out, especially when it becomes very apparent that carbon dating and the study of geology have some massive problems somewhere that need to be found and addressed. One of these problems with geology is the fact that there are what look like wagon trails fossilized into rock said to be millions of years old in Turkey. So something is off somewhere in the conventional understanding of things. I believe some dinosaurs survived into modern times and may still roam the Earth in isolated pockets. Rather than go extinct all at once they probably died out slowly over the centuries. If there was an impact it probably goes back to the 1700s or 1800s when all the trees in Russia were flattened. 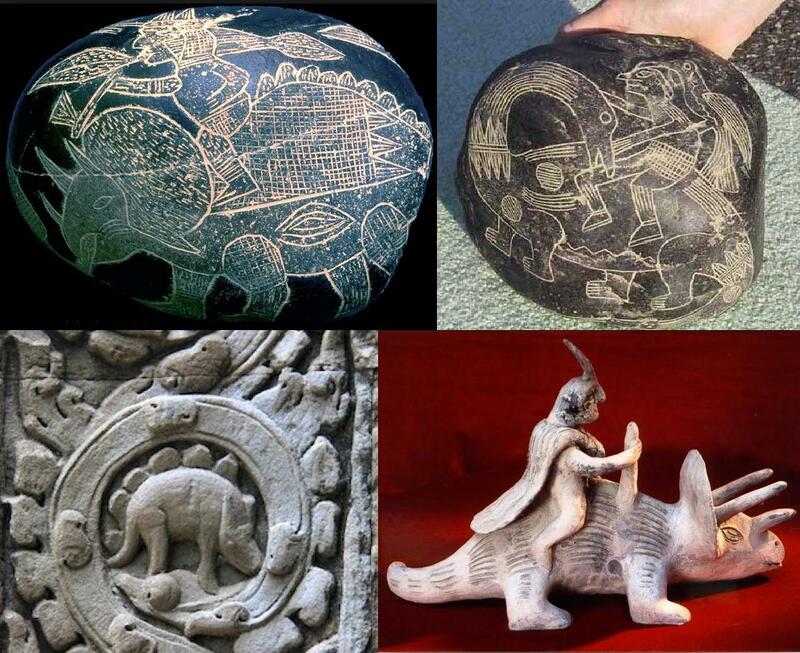 However, there were still accounts of dinosaurs being seen in the 20th and 21st century. One local legend is that of the Jersey Devil which may be an "extinct" dinosaur roaming the pine barrens of Southern New Jersey. It literally has been seen by thousands of people. That video makes the Jersey Devil sound a lot like Mothman. Both of them are often interpreted as having been some kind of entity foreshadowing tragic events, if what the video says above is accurate. I tend to put these kinds of experiences in the "paranormal" category, which is a whole other can of worms. 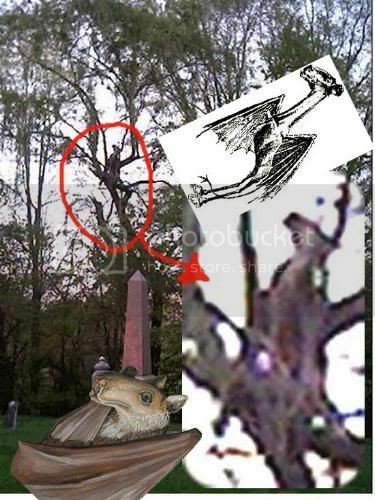 The Jersey Devil was first sighted in 1699 and was photographed as recently as 2010. It is not a "paranormal" spirit BUT a living flesh and blood animal. It has been known to kill live stock, cats, and dogs which is seen every year. So many people have seen it over the years including very reputable people such as fire fighters, police officers, ministers, and teachers. Locals even named the state Hockey Team after it: The New Jersey Devils. This is information for those that are interested in taking part in the recovery of our history. Here are the lessons suggested by newearth from the Farsight Institute.org. It is really a possibility that we can do this ourselves, recovering our true history. We cannot prove anything, but at least we have a chance to know. Enjoy. Here newearth goes into the lack of real mapping, and where are the satelite images from Google Earth. There is very little that we can access, except some old maps, showing some things never ever mentioned anywhere. I like her choice in music. There are better techniques than what the Farsight Institute is telling people. When I was a kid I taught myself remote viewing by remote viewing. I knew from a young age there was a way to see through walls using my third eye. To use the 3rd eye there is only two things you need to know. - The sound of silence. There is no such thing as silence. The absence of sound can be heard as a deafening noise. That noise is not random but intelligent messages from your higher self. If you align your mind to the sound of silence you will become aware of the messages. It works like listening to classical music. Some sounds are intrinsically sad or happy and every emotion in between. You will know what sounds are which because you know what makes you happy. Just listen to the sound of silence. - The inner light. There is no such thing as pure darkness. In the absence of external light there is an internal light. This light comes from the pineal gland and is the visual way the higher self communicates with you. If you go into a purely dark room and cover your eyes you will see lights. I created an animation to show what these inner lights look like. The shapes and how they move will change depending on what your higher self is trying to tell you. The Greeks called these the Phosphenes. If you focus on the sound of silence and the inner light your for a minute and then open your eyes your mind will begin to construct a movie for you similar to daydreaming. It is not a day dream though, it is real. If your head goes into the clouds then your consciousness really is in the clouds. Many young children can remote view like this but society and grown ups bully it out of them and as adults we lose this ability. It is not too hard to regain it if you try. Try to remember what it was like when you were a kid. Getting it back is like riding a bike. You never really forget how to do it. Thankyou Novusod, this is exciting! I see what your animation shows often before i sleep. One night i saw a spinning "flower of life" type creation. It was sort of like a kaleidoscope (love those) however the colours were unusual, olive greens, tan, orange, quite dull colours and when i really "stared" into it i felt like i was being pulled from my body, i did this a few times but didnt let myself go because i didnt know what it was. If you see a kaleidoscope of colors and a spinning flower of life that means you are going to have a DMT based vision. The pineal gland actually contains DMT which allows your soul to communicate with the astral realms. One does not need to take potions such as Ayahuasca to experience DMT visions. Such higher states of consciousness can be reached through meditation and using the remote viewing technique I described. If you allow yourself to just fall into the vision you will be in for a real treat. It was through remote viewing that I was able to discover the secret of the Halaf Potery. The pottery was spun on a potters wheel 7000 years ago to aide mystics in contacting the goddess energies. I actually saw them spinning the pottery it in a vision and created the second animation below based on what I saw. This has been going around the web ever since Cobra started talking about it but I created this Halaf Pottery animation on my deviant art page a year ago. This is what people see when they have visions. Spinning flower of life. Beyond this spinning flower is a door to another world. This is just a sample of the potential that this remote viewing technique can reveal. When you let go of fear the truth will appear. Thank you Novusod, this is really interesting. You are a real bonus to this thread. Novusod, that's very interesting. I've noticed these lights and wondered about their relation to dreams and visions. I've never before heard this connection to remote viewing. Fascinating. I still say "we've all been messed with for scores of centuries" as I said earlier, but regarding #7 in the survivors series "the survivors, 7 - 1000 fabricated years, Isaac Newton and other supporters of the true history", I'd like to see her show us a document with a date using an i in the thousands place of the year, and which describes an eclipse which can be looked up in an ephemeris as occurring exactly 1000 years earlier, before I'll agree with the idea that 1000 years have somehow been inserted into our history. Check this out Gord. Maybe you can make sense of it here. There are links on youtube for his website showing his research. I'd like to see her show us a document with a date using an i in the thousands place of the year, and which describes an eclipse which can be looked up in an ephemeris as occurring exactly 1000 years earlier, before I'll agree with the idea that 1000 years have somehow been inserted into our history. I'm still digging into all of this to see how much of it pans out in the details, but as far as waiting for a document with New Chronology dating on it (as this is what historians call this theory), ancient people did not use the same system of dating that we do today. Classical authors typically gave dates by saying things like "In the 3rd year of the reign of Tiberius...," or "In the 11th year of the reign of Augustus...". It wasn't until some time in the Middle Ages (according to the conventional dating, at least ) that this kind of dating revolving around Jesus became widely adopted. And even then, when you are questioning how many years ago from today all of these Jesus stories date back to, that creates a whole other problem. I may be wrong but I think that Sylvie who does these New Earth videos is Christian, so I'm not sure how much she gets into this, but there have been lots of "Jesuses" for a long time. This stuff gets pretty deep pretty quick, because Jesus is basically a relatively modern representation of sun god deities of many ancient religions. In the case of the Gauls of France, they taught in the pre-Christian era that the Sun (representing their primary deity) sometimes incarnated on the Earth in human form, and this form was referred to as Hésus. The words Zeus, Deus ("God" in Latin bibles, from which modern words such as dieu/dios/etc. derive), and Jupiter (Indo-European dyaus-pitr, Hindu Dyaus-Pita, meaning "sky father" -- with pita or pitr being related to the Latin pater) also come from a common root related to all of this. Specifically I am going to be looking to check out this work of Robert Newton's: Ancient astronomical observations and the accelerations of the earth and moon. Baltimore: Johns Hopkins University Press. 1970. ISBN 0-8018-1180-5. The idea, as it's explained in that video above, is that R. Newton describes the Moon suddenly accelerating and then just as suddenly returning to its former velocity within the historical record. I don't study astrophysics (as Fomenko apparently does) but this doesn't even sound right to me. With the way conservation of momentum works, it sounds to me as though either there was an extremely unlikely set of coincidences involving some foreign body with a significant gravitational pull in the Solar System that first accelerated the Moon and then de-accelerated it exactly back to its original velocity, or else this was done artificially by some other intelligence without anybody on the Earth noticing it... or else (Fomenko's conclusion) the historical record is simply wrong.